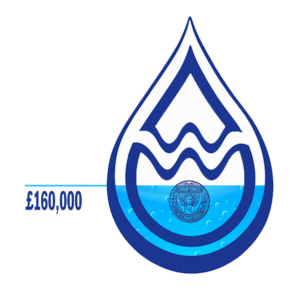 Are you organising a fundraising event or activity to support the SI President’s Appeal ‘Women, Water and Leadership’ on or before the 10th of December? If so, please let us know by taking part in our social media campaign #WWLSoroptimist. We would love to see your photographs and hear all about your events and SI will retweet them from now until the 11th of December. It is easy to join in! Just use the hashtag #WWLSoroptimist and share your President’s Appeal news with us @SoroptiTweet on Twitter and at SoroptimistGlobal on Facebook! Watch the video message from Mariet Verhoef-Cohen above! We have already raised £160,000 towards our goal of £350,000! Your support is invaluable and is creating change for women and girls through sustainable projects in Bulgaria, Kenya, Malaysia and soon in Indonesia! A huge thank you to all of you for showing your support in whatever way you can, and we promise to keep you updated regularly on all the news – let’s keep up the great work! Did you catch the SI President’s Appeal webinars earlier this month? Giving you an opportunity to hear all the latest from the SI President Appeal ‘Women, Water & Leadership’ and put your questions to Mariet Verhoef-Cohen, you can now watch the webinar recording presented by SI President, Mariet Verhoef-Cohen and Chair of the President’s Appeal, Hafdis Karlsdóttir, bringing you the latest news from projects in Bulgaria, Kenya, Malaysia, and giving you details of a forthcoming project in Indonesia. Click HERE to watch. Find out more about the Soroptimist International President’s Appeal ‘Women, Water & Leadership’ and watch all the latest videos by visiting the President’s Appeal page in the SI Members Area HERE. Visit the SI Resources area to download the latest President’s Appeal marketing materials including a leaflet and a poster for your funraising events HERE.